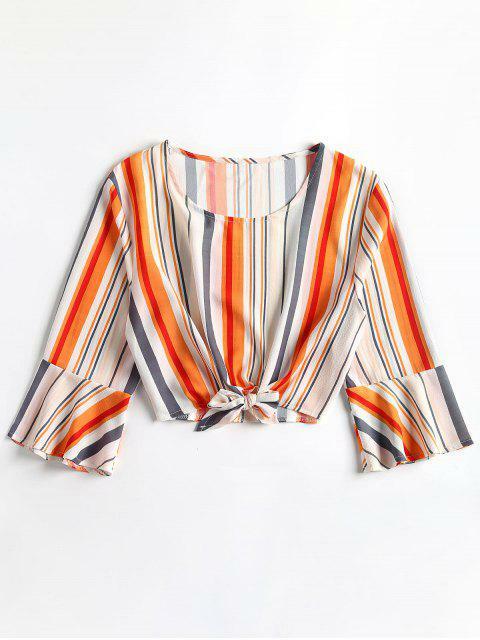 [55% OFF] 2019 Cropped Ties Stripes Top In WHITE | ZAFUL ..
Accented with a contrast stripes print throughout, this top features a tie-front design on the hem and 3/4 length, flouncy, flared sleeves with a cropped fit. 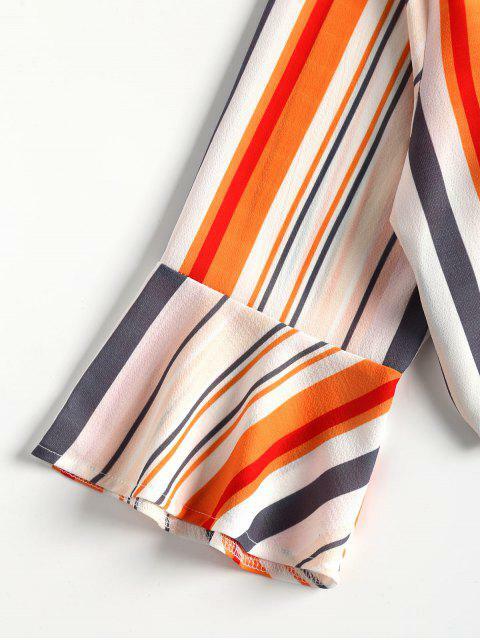 Perfectly chic design makes it so adorable and soft fabric gives a great comfort to wear. 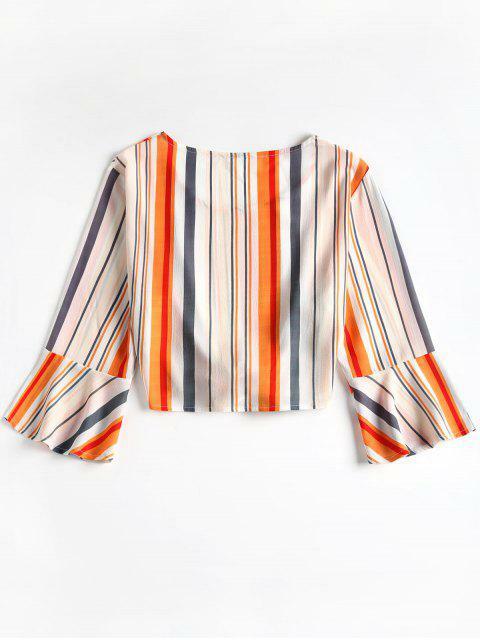 Don' t miss it, just pair it with some denim bottoms for a quick, chic summer look.